Hi guys, looks like I haven't posted in a bit! Oops....!! I was sick, and then fell behind in work stuff as a result, and of course catching up with all that took priority. But I'm back now :) So, as a result, I have lots and lots to share over the next week or so. I'm going to start with a gift bag, but definitely keep checking back, there's lots more coming! 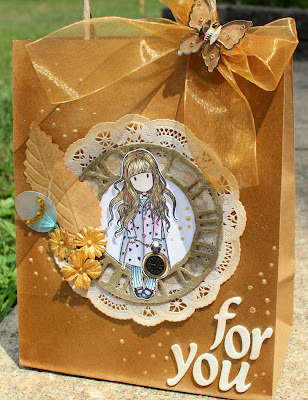 This is an altered gift bag - the doily is from Punky Sprouts, and the gold spray is "Glitter Dust" by Therm O Web (in gold). 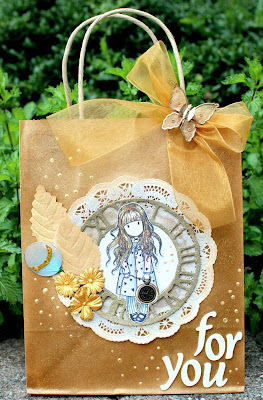 I sprayed the entire craft bag, as well as the tattered clock I cut out of chipboard with my Big Shot. The extremely adorable stamp is a Gorjuss girl, colored with Copics. Flowers are Webster's Pages and Prima, and the gold butterfly is a pin I got in my RAK from Scarlett. 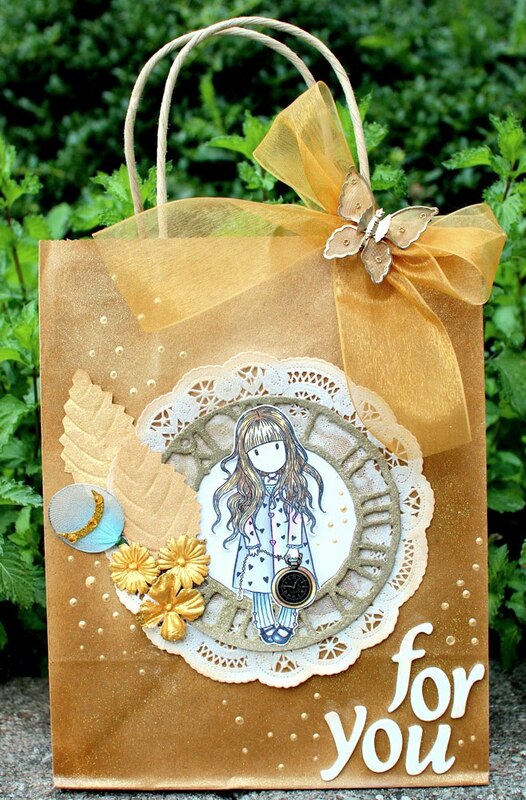 Gorgeous gift bag!! 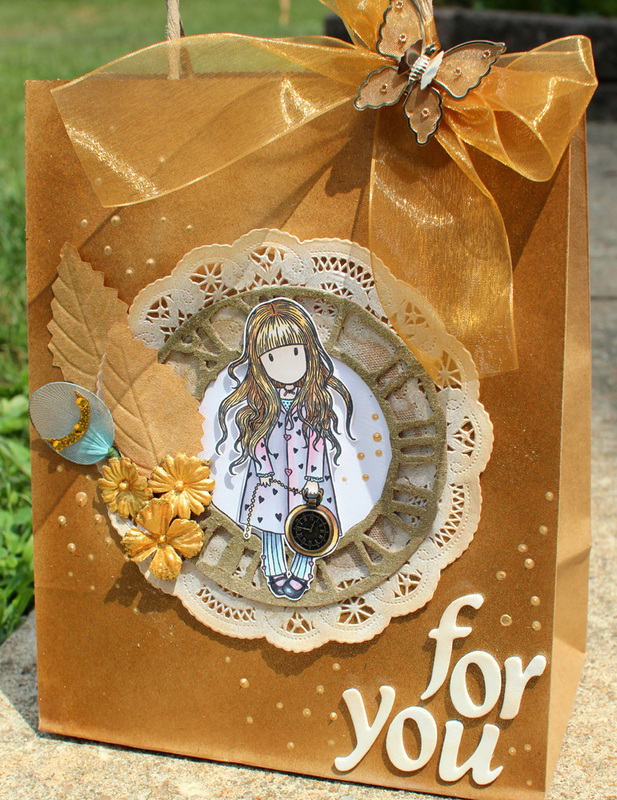 Love the stamped image! !